This page contains several screen shots showing FreeType at work. 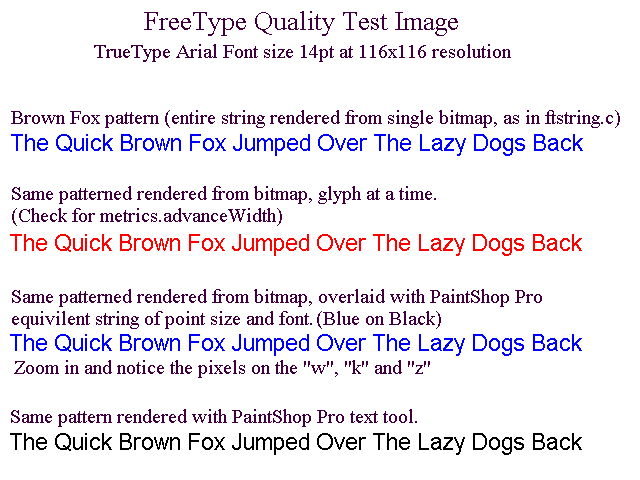 Windows and FreeType quality comparison with Photoshop. Rotated Text Output with font-smoothing on colored background. 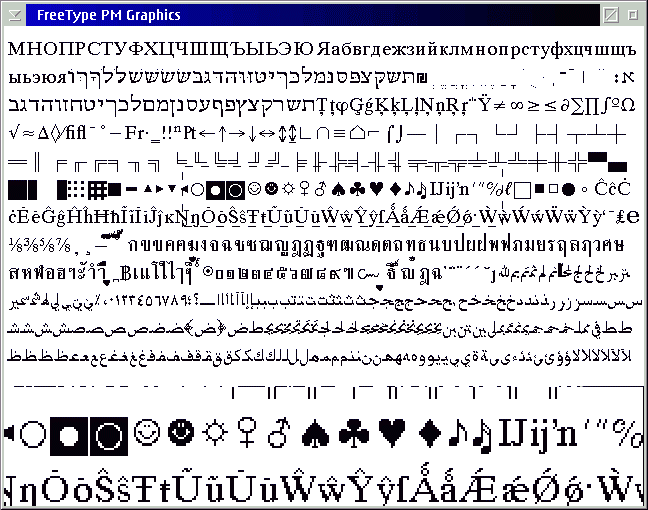 The Unicode CyberBit font at 12 points, with no font-smoothing. Look how different scripts at small sizes are rendered. The same page with font-smoothing. Look how diagonals and curves are smoothed. 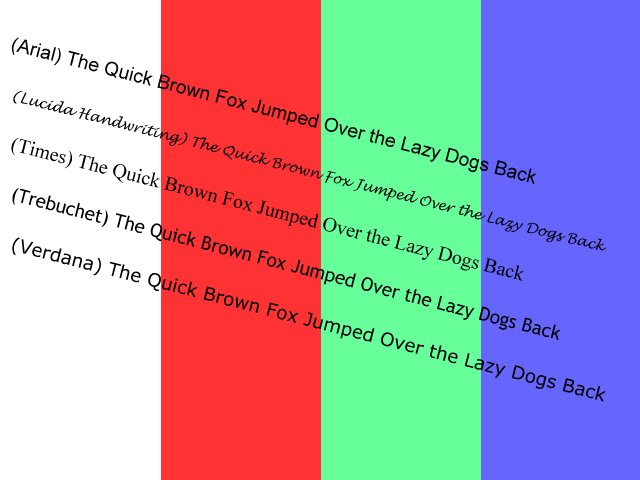 Enlarged rendering of the phrase "Font Smoothing" with the font MT FootLight. 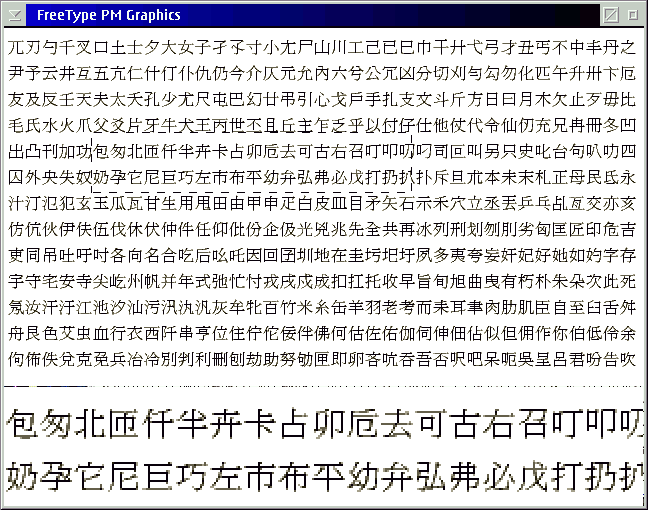 The Chinese Mingliu font, at 12 points with font smoothing. Notice how vertical and horizontal stems are kept black, making the glyphs more legible. Now try that with ATM!